Do you still enjoy the same activities that you did ten or fifteen years ago? Have your tastes in shopping, travel or dining changed over the years? Like most of us, chances are that your interests have changed over time. These changes may have been influenced by lifestyle changes such as graduating from college, getting married or divorced, having children, or moving to a new location. Because our lives are not static, neither are our preferences. That creates a challenge for marketers. You need to keep up with the marketing and account servicing preferences of your customers and prospects including product or service interest, desired means of communication, frequency of contact, and more. Unless you do this, you run the risk of delivering information that may not be relevant, or which may not be delivered via the desired communication channel. The ideal way to keep up with changing marketing preferences is through a persistent preference center. A persistent preference center is a technology solution that enables you to capture, track and maintain these preferences. 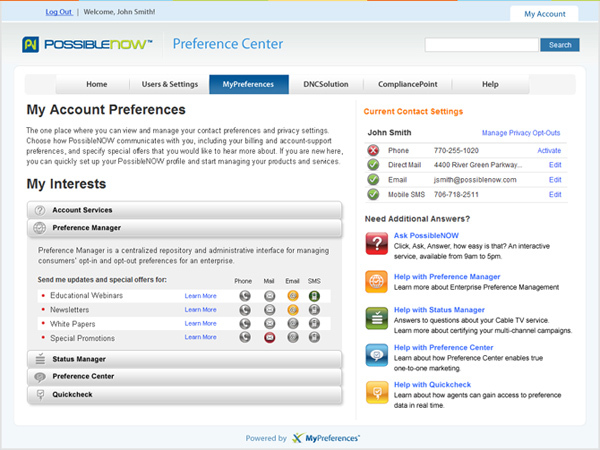 You need to deploy this preference center everywhere you interact with your customers. These touch points can include mobile devices, social media fan pages and your corporate web site. And each interaction— email, direct mail, even your Facebook posts — should remind customers and prospects to keep their preferences current. Your preference center also lets you update the available communication methods as they evolve, or the product lines or the types of information that you offer such as sales alerts. With preference management, you put the customer in control and enable them to adjust preferences as their lifestyle or tastes change. Marketers who utilize preference management technology can boost customer loyalty by delivering the right content to the right audience by the preferred communication channel. 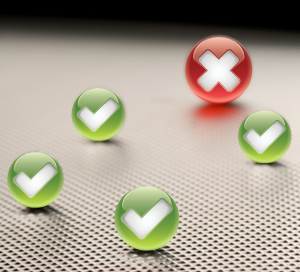 So, how are you using preference management in your marketing efforts? Share your comments with us!